Crickets is probably a good sign I've been running this for a couple days and haven't had any issues. In unrelated news, the Starre Pro (unexpectedly) sets a new high bar for TC tanks with pre-made coils. I've been running this since it was introduced and everything's been fine for me with escribe and the firmware, although I haven't done much with TC, it's been almost all Kanthal operation. I've been running for a day here, TC with my wonky RDA and single twisted Ni200 coil 28ga, 13 or so turns. Seems quite stable. Haven't played with locked ohms yet. I have been using this version for a few days and all good including override ohms and res lock, like the resistance on the new/same coil prompt. Added a link above to the 7/27/2015 EScribe version. Main feature: 2S support. Successful update - Using Windows 10.
thanks for putting the two decimal points displayed in material profiles guys, much appreciated. Perfect update install on Windows 7 x64 and successful board flash first try. I just successfully installed the new EScribe using the above exe and it installed perfectly. So I plugged up my DNA 200, and it notified me of the update. I chose to update the firmware, and it worked the first time, smooth as butter. So far I can only say the escribe install and firmware flash worked perfectly, and the mod seems to be working fine for the few minutes I've been vaping on the new firmware. 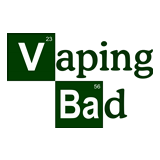 I'll update this after vaping it a while and let you know if I find any bugs or problems with the mod while using the new firmware. So far, it's just like it should be though. James, thank you so much for providing the change logs with the update links. I know it's not at all a necessity but people like me really enjoy reading them and it gives us a better idea of things to watch for during testing. Installed 7/27/2015 .exe and firmware update using Windows 8.1. Installed without issue. So excited having the option to use 2S and should I decide to go through with 3S builds, just flash the firmware back. Awesome addition so soon! With the new firmware in temp mod, i can set 600 fahrenheit, but in c(grade) is stop by 300,that is to low.600 f is 315,6. Is it a bug? Not so much a bug as just stopping at nice, round numbers. You really don't want to be running at 300C either. Added a link above to the 7/29/2015 EScribe version. Main feature: Stealth mode doesn't keep the screen off when you're choosing a profile. Kind of hard to switch profiles otherwise. I downloaded escribe and it installed fine, then firmware flash to the device was flawless on first attempt. Windows 7 x 64. Downloaded and installed the eScribe software and the new firmware update on windows 10 x64 no problems at all. Good to know, thank you sir. Just wanted to chime in. Updated from 7-9 to 7-29 firmware. All is working well! Not sure when/what was changed, but preheat seems...different. I'm not entirely sure how, but it definitely seems more consistent with a smoother transition, if that makes any sense. I can't really give any more feedback than that without reverting and studying the device monitor, but whatever was changed was an improvement. If anything was changed at all...I suppose it could just be me. I believe we played with the thermal control loop a little to better handle high thermal mass coils and titanium. We also made it react faster. Glad it is an improvement. Ribbon Ni on steal rope wicks has improved to. John, it is definitely an improvement. It's something that I noticed immediately and it has made my vaping experience just that much better. Thank you! Added a link to the 8/4/2015 EScribe, which includes the 7/29/2015 R1 firmware. Mostly usability tweaks. Thanks James, would be nice to save the DM Time Scale as well, I am normally only interested in 1 puff so set to 5 secs. It's the 8/4/2015 EScribe Version.